With the current FLW Walmart Tour currently in full motion, we pay tribute to our FLW Touring Rod Glove Pro Staff Joe Holland. Joe is an easy going passionate angler from Jefferson, Maine, who promotes the sport, and his fellow anglers with the same competitive sport that drives him to fish. He started his career fishing in the waters of Maine and as his skills improved, he decided to compete in other water, searching for the winning fish at larger tournaments. He has spent the past four years fishing in the waters of Lake Okeechobee which has given him two top 10 finishes in his FLW career. Joe is a proficient grass fisherman that has flipped and punched his way into a top 10 position in the 2015 Costa FLW finish. This allowed him to qualify for his current position as Rookie Pro for the 2016 FLW Tour, and he is one of the top four contenders on the FLW Fantasy Fishing. The FLW Tour, the largest tournament series in the world, also holds the largest payout for it's competitors. Representing The Rod Glove, Joe Holland has a great chance of finishing in the top 10 during the 2016 FLW Tour. Here Joe shares how he uses The Rod Glove products for his protection of his rods and storage while on Tour. Some really cool new products from THE ROD GLOVE. Watch the video, get ready for another awesome give-away. He says as tournament anglers, they spend a tonne of money on their gear and protection is key. He uses the Rod Glove Technique Tags for easy identification of his rods. He likes to use the Bait Glove because in a matter of seconds, you can cover up your treble hook. His favourite Pro Series is the Neoprene Camouflage. He also uses the Reel Glove, that saves him money and time and protects his Lew's reels and as Joe says " they might even put a couple of extra fish in the live well for ya". He spends about 40-50,000 miles on the rod and uses the Reel Gloves to protect his reels while travelling on the rod. You can follow Joe Holland on joehollandfishing.com. "The difference between cashing a $10,000 dollar cheque could mean how well you have taken care of your gear or winning the tournament. 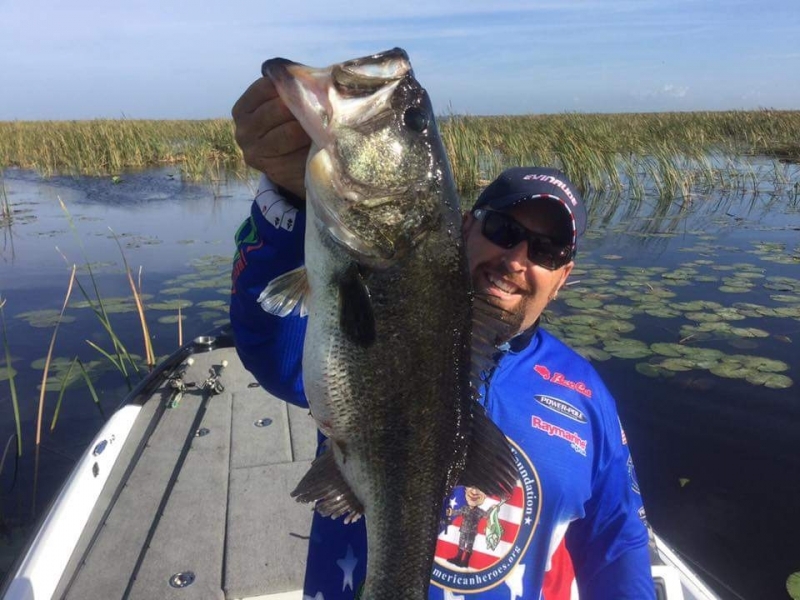 As a tournament angler, your time is very limited and every second could mean another cast". The Rod Glove helps me to keep more rods in my rod locker as I don't like to use the rod tubes. During a tournament when I carry a lot of rods, I can grab the rod on the bottom of the locker without any tangles and with ease.